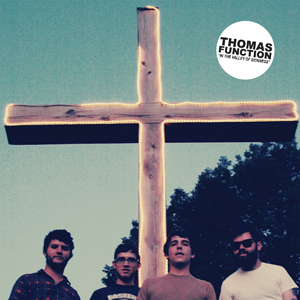 Hailing from Alabama, Thomas Function merge their native deep south blues with punk rock, country and traditional rock n roll. It’s a messy concoction that boils down to some very simple, attractive song structures on this second album - structures that are promptly stomped over by a singer who yelps and howls like Bob Dylan with his testicles trapped in a clamp. ‘ADP Blues’ may get the toes tapping, and ‘Belly Of The Beast’ may get the heads swaying, but Thomas Function remain an acquired taste. “Are you gonna buy our record or what?” they caw on ‘Picking Scabs’. Probably not, ta.